This is the Mystery sock for the March 2013 Sockdown in the Sock Knitters Anonymus group, i.e. the SKA MOCK. There will be additional information on how to pick your size in clue 1, but the sizes can also be adjusted at a later stage. 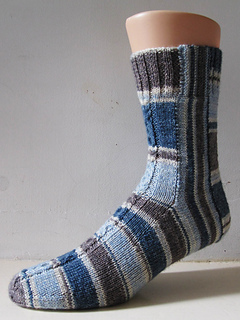 You can either work the whole sock with just one yarn: this will work best with either a self striping yarn or one with gradual colour transition like Zauberball or Noro. As the yarn will not be cut, this is the option for people who hate sewing in the threads at the end. Just make sure you have either two balls or both ends accessible if you are planning on working both sock at the same time. You will need around 100 gr of your chosen yarn. 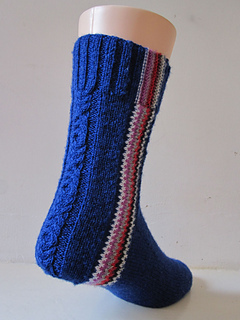 Alternatively, you can work the sock with a solid or semi-solid yarn and include some very easy colourwork. For this, you can use up to 6 accent colours, in which case you only need about 10 – 12 yards of each colour. If you are using less accent colours, you will need proportionally more of each, but the minimum is 2 colours (plus your main colour). You will need under 100 gr of the main colour. As always, let me know if there are problems, but the best place to get help will be the dedicated thread on the SKA forum. 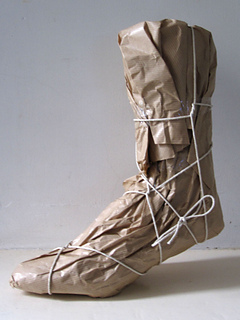 IMPORTANT: Please only post images of the sock in the dedicated thread while the mystery is still running, and if you share your project with your groups, please use the image above or a picture of your yarn as the first image on your project page to keep the mystery unspoilt for others. Lastly, a massive thank you to my fabulous test knitters Krysten / Hypercycloid and Liz / pixieface.